Greenville-Spartanburg Among Deadliest South Carolina Areas for Tractor Trailer Accidents - Harrison White, P.C. Eighty-two people died in South Carolina in crashes involving tractor trailers last year. A significant portion of those deadly truck crashes occurred in the Greenville-Spartanburg area. According to the National Highway Traffic Safety Administration, the cities with the highest number of 18-wheeler accident deaths included Greenville (7 deaths), Lexington (6), Spartanburg (5), and Florence (5). With interstate highways 85 and 26 crossing the county, Spartanburg, in particular, has seen year-by-year increases in large truck fatalities since 2008. Nationally, traffic accident fatalities had been decreasing since 2005, but saw an increase in 2012. South Carolina overall had higher than average rates of road fatalities per miles driven and per population. Over the past five years, the number of fatalities from large trucks crashes in South Carolina averaged 81 deaths per year. South Carolina is also home to what Popular Mechanics calls one of the top 10 deadliest roads in the country, Interstate-26. I-26 connects the three densest areas in the state: Charleston, Columbia, and Greenville-Spartanburg. The interstate corridor is heavily travelled by large trucks. The deadliest portion of I-26, however, is the relatively lonely stretch of highway around Ridgeville, according to an analysis by The Post and Courier newspaper. Accidents in that area were not correlated to weather or traffic. Tractor trailers, which weigh between 12,000 to 80,000 pounds, are more than 25 times heavier than the average passenger vehicle. Their sheer size and weight make them far more deadly on the road. Because of their weight, large trucks need more time to come to a complete stop. Brakes failures and brakes that haven’t been adjusted are common causes of preventable truck crashes. Many commercial truck drivers spend too many hours behind the wheel and may be driving while dangerously fatigued. Unfortunately, many of these fatigued truck drivers are identified only after a crash occurs. 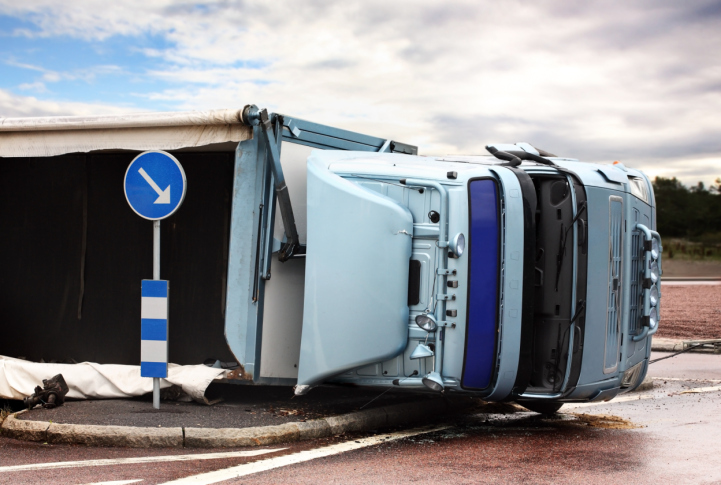 Regardless of whether a mechanical failure or human error causes a truck crash, the occupants of other vehicles involved in the collision typically suffer the most serious or fatal injuries. According to the National Highway Traffic Safety Administration, 76% of the fatalities from large truck accidents were occupants of a passenger vehicle. Always be aware of your surroundings on the highway and pay particular attention to these large and dangerous trucks.